The butterflies in the You Move Me set actually flutter when you pull the tag out of this cute pocket card. The set includes both butterflies and humming birds that flutter, making this a must-have set. While young ones will be fascinated playing with this card, I'll tell you a little secret: Anyone who receives this card will be amazed that you made this and will spend time playing with it. Spark imaginations with this set! I used one of my color combination: Rich Razzleberry for the basecard and Sweet Sugarplum for the image layer. The Sweet Sugarplum layer is mounted on Foam Adhesive Strips ton the sides and bottom to form a pocket. The butterfly accent and the pull tab are Night of Navy. I created a Rich Razzleberry frame around the window using the Layering Squares Framelits. the Move Me thinlit set is actually a rectangle, but the squares fit nicely over the window and give it a more finished look. I stamped the two butterflies on a Pink Pirouette card that pulls up using the tab created by the Circle Tab Punch. The larger butterfly is stamped in Rich Razzleberry and the smaller butterfly is stamped over the larger butterfly in Sweet Sugarplum stamped off I was unsure if I wanted to add a butterfly to the tab, and I might try a version with the tab plain. The little butterflies are part of the You Move Me Stamp set with coordinating dies from the Move Me Thinlits. I used another die set from the Move Me Thinlit to create the butterfly accent. I folded it in half to fit better on the card front. The Thanks sentiment is also from this stamp set, and there a several other sentiments to choose from in this set. Stampin' Up! has an excellent video with tips for using this stamp set and how to cut the lined window to create the holographic butterfly effect that flutters as you move it. 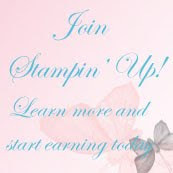 Click on an image below to see larger images and to go directly to my Stampin' Up! 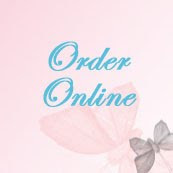 store to find out more about each product. Sign up to stay up-to-date with new card ideas by subscribing to my blog, register on my Meetup site or follow me on Instagram. - Order at a discount as a Stampin' Up! demonstrator. Sign up for $99 and get $125 worth of products in your starter kit that you select, and $72 worth of starter essentials. Your kit ships free and you'll receive a free Paper Pumpkin kit as part of your new demonstrator kit. After you sign up, enjoy your future purchases at demonstrator discount prices of 20% to 25% off. At Home with You stamp set from Stampin' Up! Colorful Season Leaves from Stampoin' Up!